Affordable warehouse or light industrial space for lease right on Main St. in Mt Joy! Close to 283 and a quick drive to Rt. 222 or Rt. 30. Over 13,000 SF of warehouse space with 11' ceilings, 3 phase electric, two sets of restrooms, one double door loading dock, 8+ off street parking spaces, and enough space to back in a semi-trailer truck! Tenant pays only their pro-rata share of utilities, no tax or CAM fees! 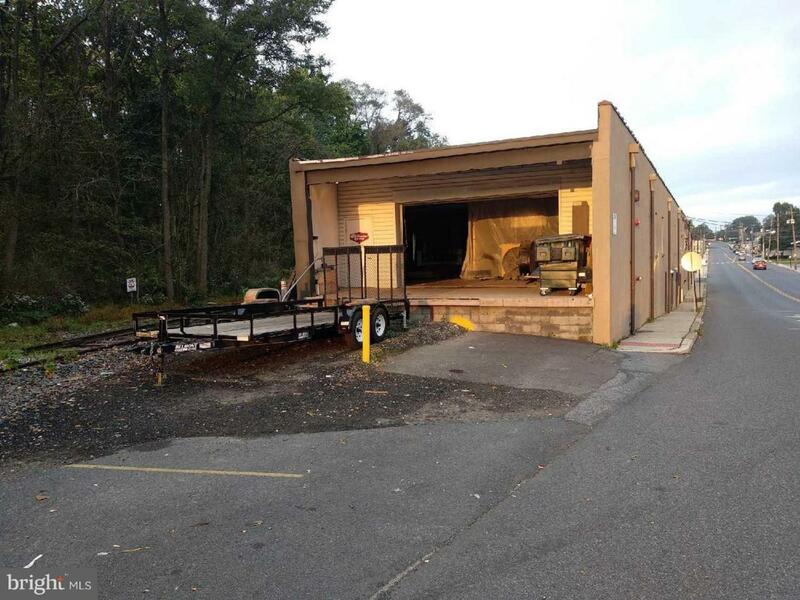 The front half is currently being used as a cabinet manufacturing facility however that tenant is on a month to month lease and will vacate upon signing of lease. The owner is also willing to consider leasing an additional 13,000 SF of space on the first floor or selling the first and second floor comprised of 26,000+ SF. This property is zoned Neighborhood Commercial (NC). All showings require 24 hrs notice. Sable Commercial Realty office hours are M-F 9-5 PM, no evening or weekend showings. Please call 717-399-9361 for more details. Thanks! Zoning Description Please Review List Of Allowed Zoning Uses Before Scheduling A Showing. Ideal For Storage Shop Area Light industrial. Listing courtesy of Sable Commercial Realty. Accessibility Features 2+ Access Exits Association YN No Business Type CommercialDistributionFood & BeverageIndustrialManufacturingParkingRetailStorageVacant BuildingWarehouseOther Central Air YN No Current Use ManufacturingIndustrialWarehouseOther Electric 3 Phases120/240V Existing Lease Type Net Heating Fuel Other Hot Water Other Incorporated City Name Mt. Joy Boro Navigable Water YN N New Construction YN No Number Of Units Total 0 Original MLSNumber 300732240402 Ownership Interest Other Property Sub Type Industrial Purchase Optional YN Yes Rent Includes WaterSewerTaxes Sale Type Reo (Real Estate Owned) Sewer Public Sewer Tax Annual Amount 8296.0 Tenant Pays ElectricityGasHeatJanitorial ServiceInsuranceTrash Removal Utilities Electric AvailableWater AvailableSewer Available Vacation Rental YN No Water Source Public Zoning Neighborhood Commercial Zoning Description Please Review List Of Allowed Zoning Uses Before Scheduling A Showing. Ideal For StorageShop AreaLight industrial.